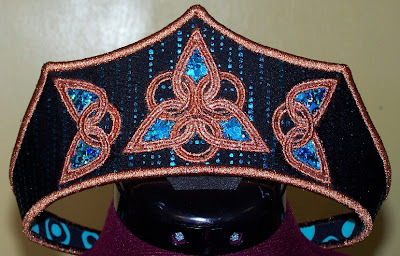 Webmaster, Susan and I all agreed that we wanted to re-do the bodice of the Webmaster’s new dress. Being a 2-piece, we had wanted to try to make it as comfortable as possible, so we were trying for a t-shirt feel…nothing was stiffened except for the embroidered areas, and even those were cut out and appliqued onto the unstiffened bodice pieces. Although soft, it did not lay right and Webmaster was somehow uncomfortable as she kept tugging on it…it seemed to ride up. 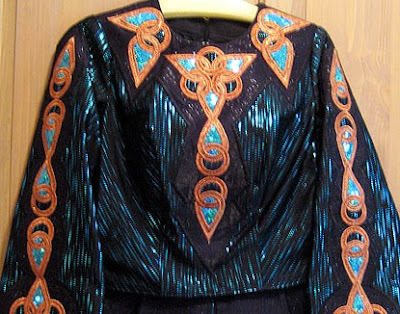 This is the original bodice. We decided to re-vamp it and make it stiff with a v-shape at the center bottom. I took the entire bodice apart. 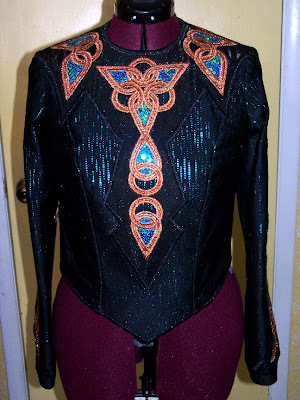 It was originally a one-piece darted bodice on the front with an embroidered panel appliqued onto it, and we wanted to change it to a princess seam. I left the sleeves as they were – soft and unstiffened. I kept the original back bodice. 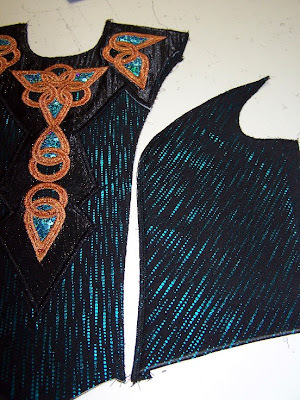 I cut the embroidered panel off of the front bodice, and cut a new front princess seam bodice. 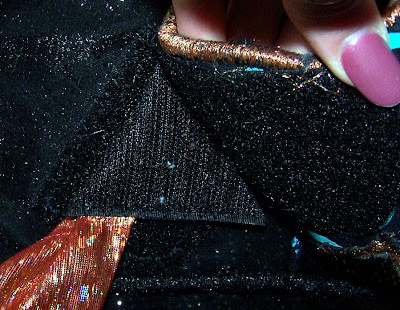 The fabric was interfaced first with french fuse as was the finished back bodice. 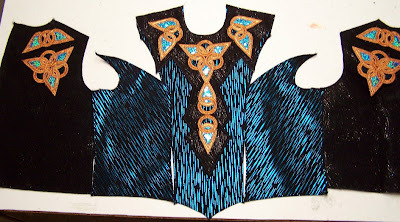 Then I interfaced all five pieces (2 back, 3 front) with Decor-bond – 1 layer on the 2 back bodice and 2 side bodice pieces, and 2 layers on the center front bodice. 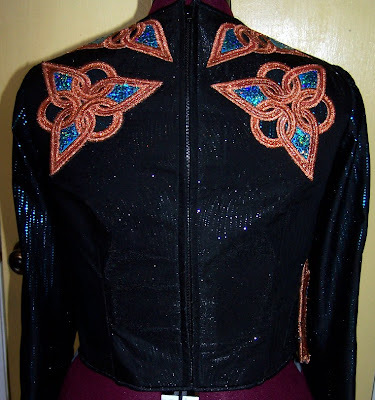 This pic below is the new very stiff center front bodice. Below are all five stiffened pieces. 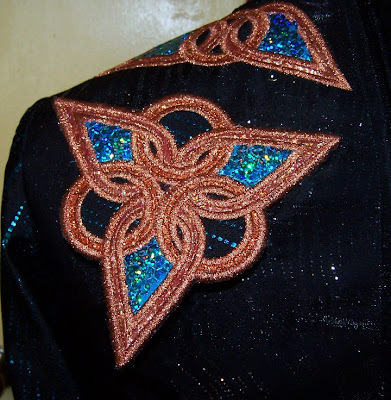 The embroidered front panel has only been partially attached to the center front bodice. 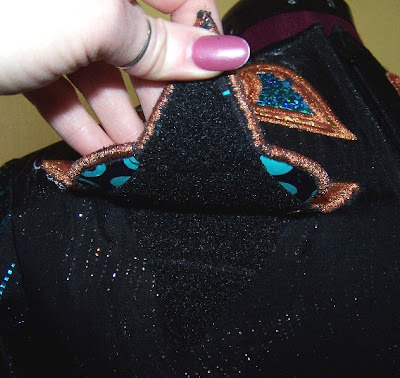 I finished attaching it after I have sewed the princess seams because the panel overlapped the seams. 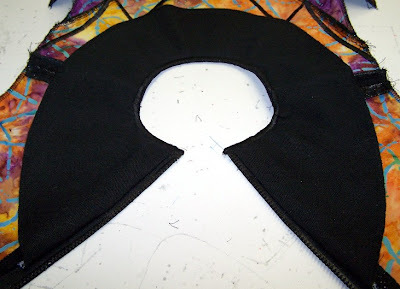 All bodice pieces were all lined in cotton (I love having a wild inner bodice!) and serged. 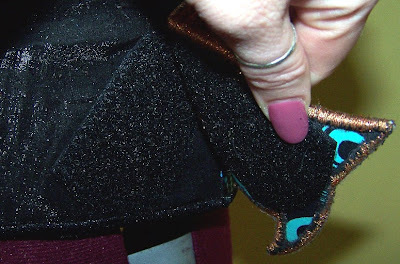 The Feisdress pattern does not use any ease in the princess seam. (For a thorough discussion of the reasons for this go here.) Webmaster’s original pattern was custom-made for her, so I altered that to create a princess seam pattern and did not include any ease. 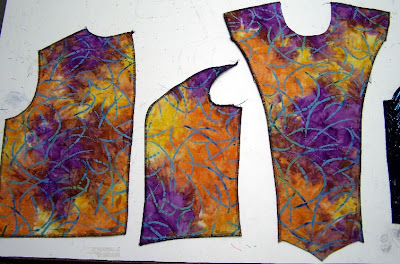 Here the two pieces are ready to be sewn. 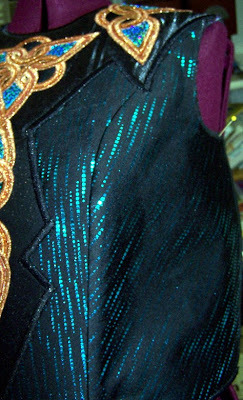 Here is the finished seam showing no puckering because there was no extra fabric to be “eased” in. 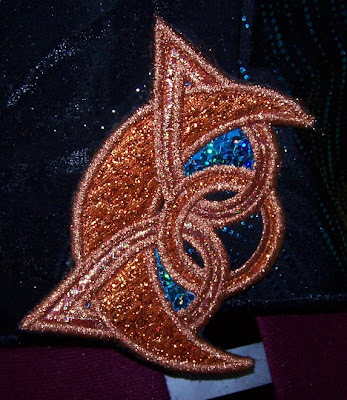 The bottom edge of the bodice was satin-stitched as was the neck. I still included the neck facing for a clean look. I used a separating sports zipper in this bodice. They feel so much sturdier… I am thinking I might start using these in all the dresses I make from now on. 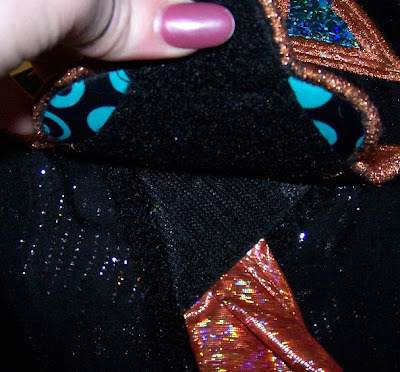 …and underneath the pin and on the bodice are two big pieces of the soft side of heavy-duty velcro. The same happens at the right hip. I will post full pics in the next post.